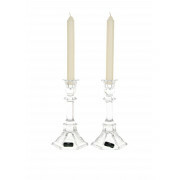 Newgrange Living present a set of 2 Paris candlesticks. Each candlestick is 19.5cm tall with a hexagon shape. 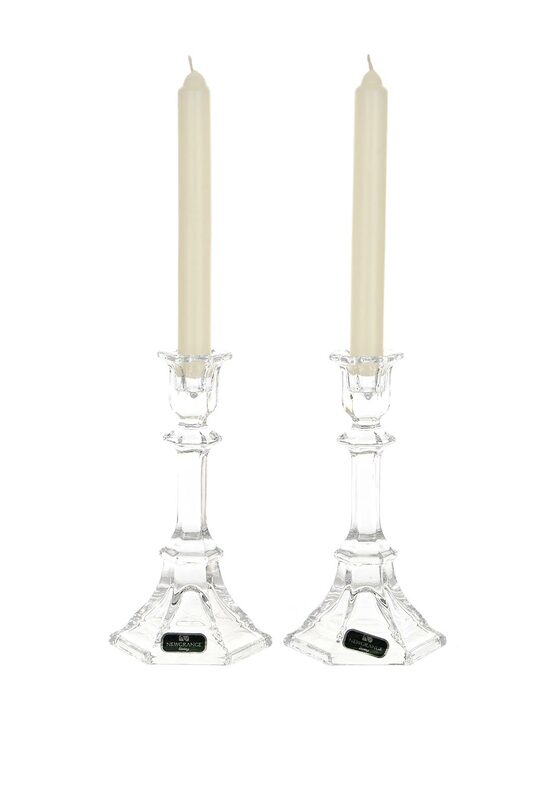 This set comes with a set of two tall candles to use in these beautiful glass candlesticks.